In for April. 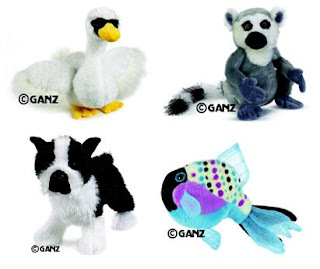 The Boston Terrier New Webkinz, The Webkinz Ring Tailed Lemur, and the Lil Kinz Polka Back Fish. These three are brand new and ready to go home with you today. Webkinz are always great collector's items too.